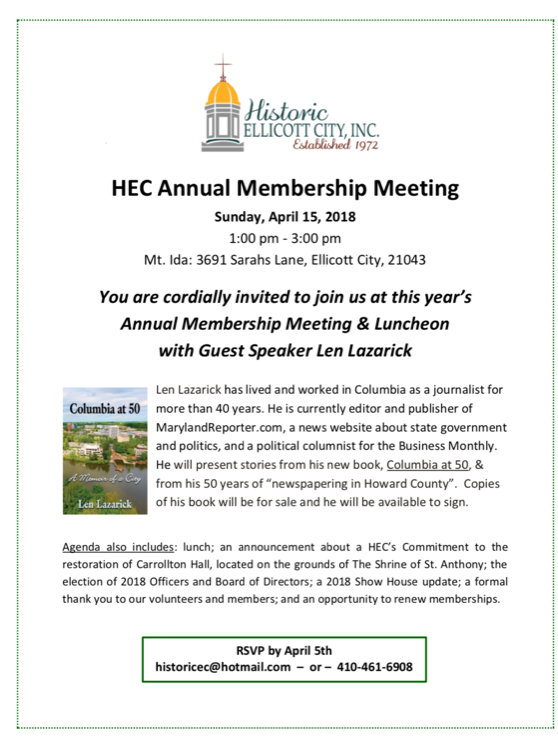 Agenda also includes: lunch; an announcement about a HEC’s Commitment to the restoration of Carrollton Hall, located on the grounds of The Shrine of St. Anthony; the election of 2018 Officers and Board of Directors; a 2018 Show House update; a formal thank you to our volunteers and members; and an opportunity to renew memberships. Free for all current and future HEC members. Thousands of people toured White Hall in the Fall off 2017 making the event one of the most successful in HEC history. HEC has now turned to finding the next home to serve as a Show House. 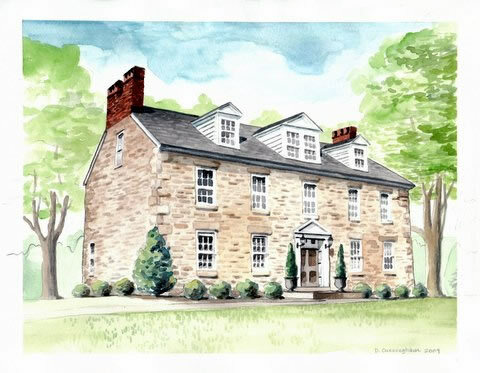 While the inventory of historic homes in Howard County is dwindling and finding a home on a large enough parcel of land is proving difficult, HEC’s Show House Committee is hard at work searching for the next location. The ideal homes are old and stately, located in Howard County, and with on-site acreage for parking or ability to use/create parking nearby. The home should be in livable condition needing mostly design and cosmetic improvements. To learn more about the criteria we use in our search process click here.